…begins with one child’s smile. Our combination of school readiness with early childhood arts instruction is the first of its kind in southeast Tallahassee: Music, dance, dramatic play and visual arts create an optimum environment for young learners. 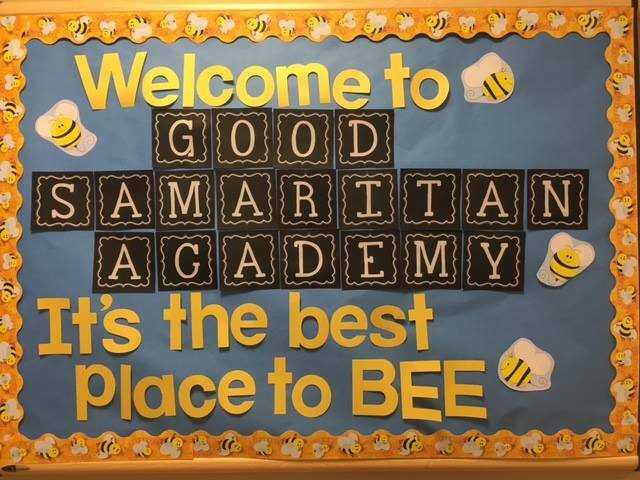 Good Samaritan Academy is an active part of the community serving both children and families. We are a licensed preschool with the Florida Department of Children and Families and are APPLE accredited. APPLE accreditation means a child development center has taken the initiative to surpass standards set by local and state licensing bodies in order to voluntarily measure up to standards of quality that have been established by the Accredited Professional Preschool Learning Environment. We offer a year-round program for children aged 6 weeks through 4 years and participate in the State of Florida Voluntary Pre-Kindergarten (VPK) program as well as the Early Learning Coalition School Readiness Program. We are open from 7:00 AM until 6:00 PM (18 months to 5 years) and 7:30 AM until 5:30 PM (6 weeks to 17 months), Monday through Friday with both full-time and part-time options available. Our teaching staff is well-trained and educated in Early Childhood practices. Continuing education is both encouraged and required. This Tallahassee preschool is associated with Good Samaritan United Methodist Church at 3720 Capital Circle SE. Questions/tours: Call 850-325-6752 or contact us.